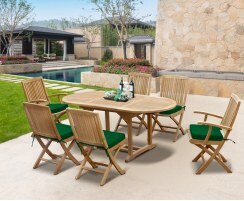 These extendable dining sets ensure there's always room to accommodate extra guests and food and you can retract the leaves to create the smaller configuration when the extra space isn't needed. 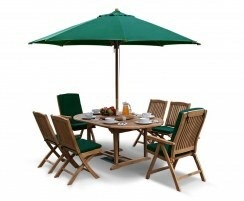 These extending garden table and chairs are a practical addition to gardens and patios, and with a wide range to choose from you're sure to find the ideal extendable garden furniture set to suit your space. 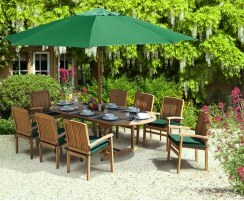 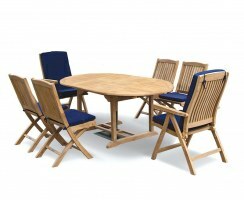 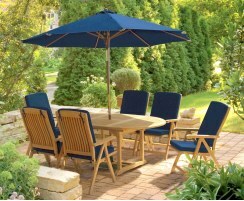 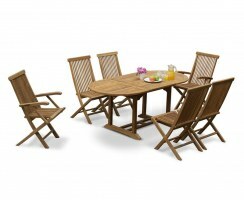 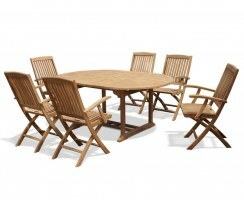 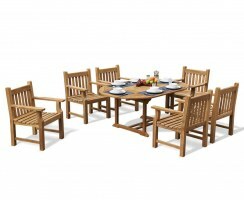 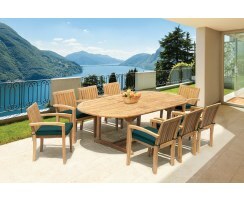 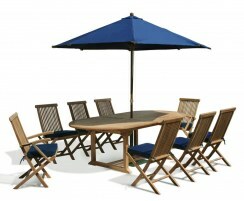 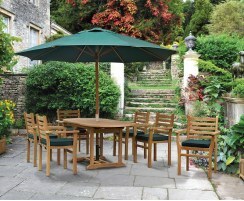 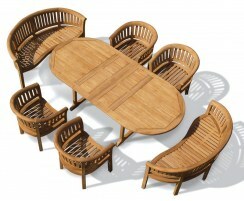 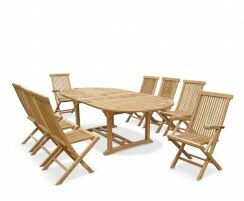 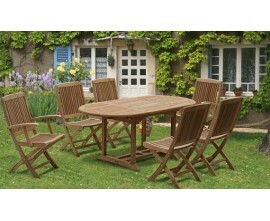 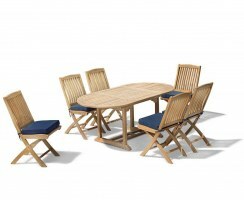 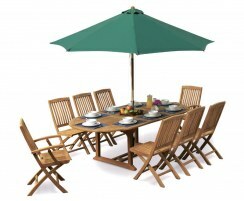 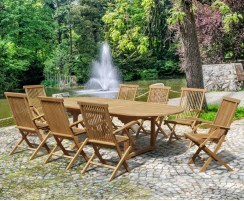 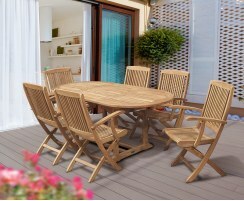 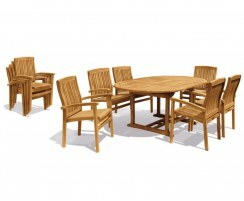 Enjoy fine alfresco dining with our durable extendable dining sets. 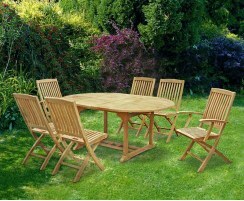 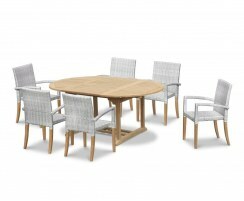 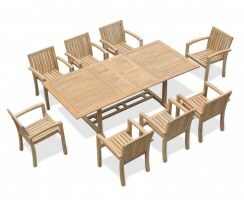 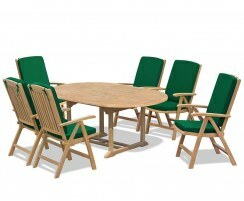 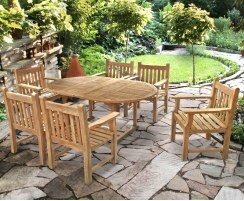 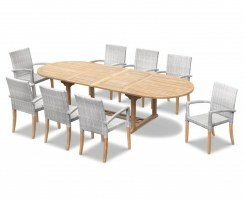 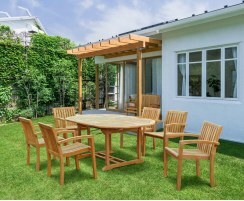 With either single or double extension leaves to choose from, and coming in a range of shapes, styles and sizes, finding the perfect extending garden table and chairs has never been easier. 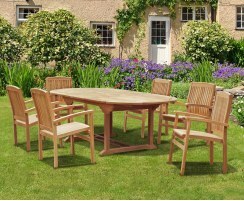 Our extendable garden furniture sets are crafted from sustainable grade-A teak so they have truly been built to stand the test of time.